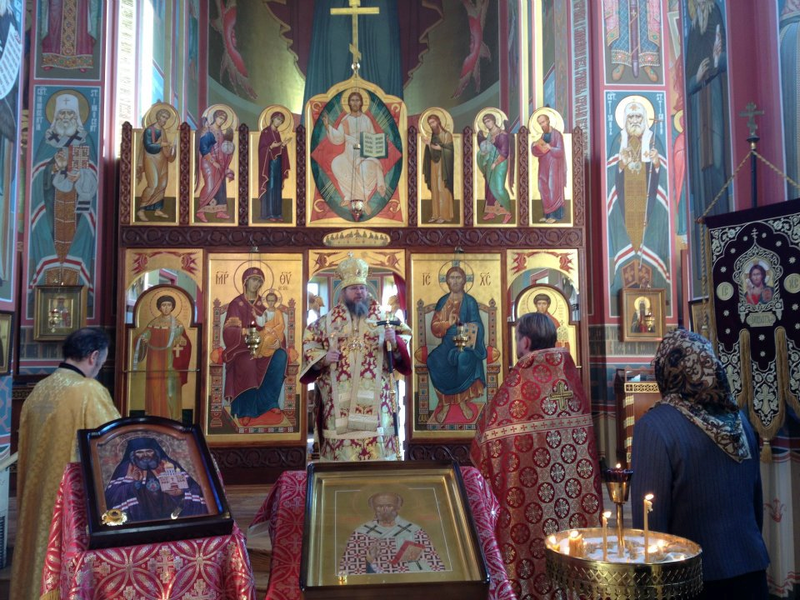 I attend the beautiful and historic ROCOR Cathedral parish of Saint John the Baptist in Washignton, D.C. The very kind rector is Father Victor Potapov. 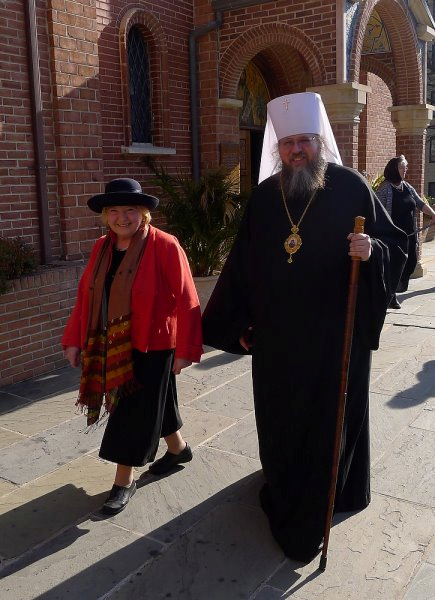 Here are some insightful images from His Beatitude Metropolitan Jonah’s tenure as primate of the Orthodox Church in America, as well as many poignant photos taken following his July resignation. I share these photos in the hope that they will provide a glimpse, for those who are not blessed to know him in person, and especially to those who have never met him, of the Metropolitan ‘at work’ in his various Church roles: interacting easily and joyfully with the faithful, especially young people; presiding over many historically significant inter-jurisdictional meetings and liturgies; and con-celebrating with fellow hierarchs and bishops from other Orthodox jurisdictions. 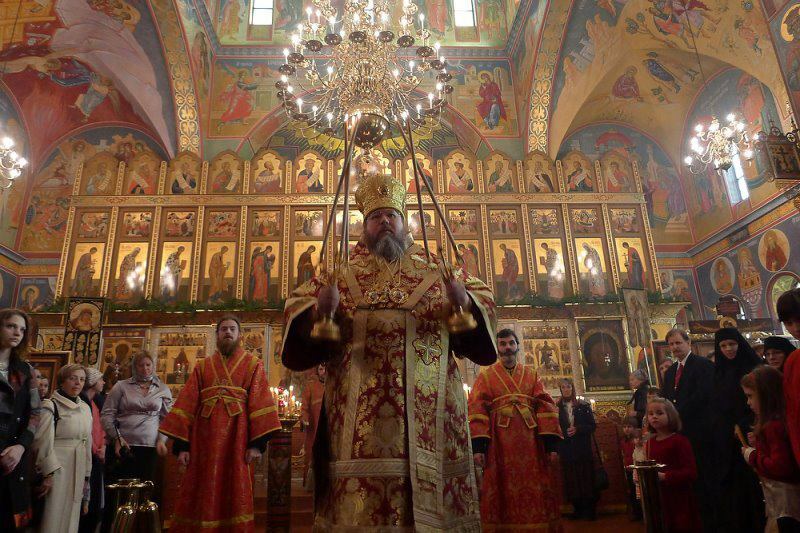 I hope they convey a sense of his grace, his profound piety and love for Christ and the Orthodox faith, and his joy and love for Orthodox Christians everywhere. A young parishioner is lifted up to kiss the cross at St Nicholas Cathedral on Pascha. 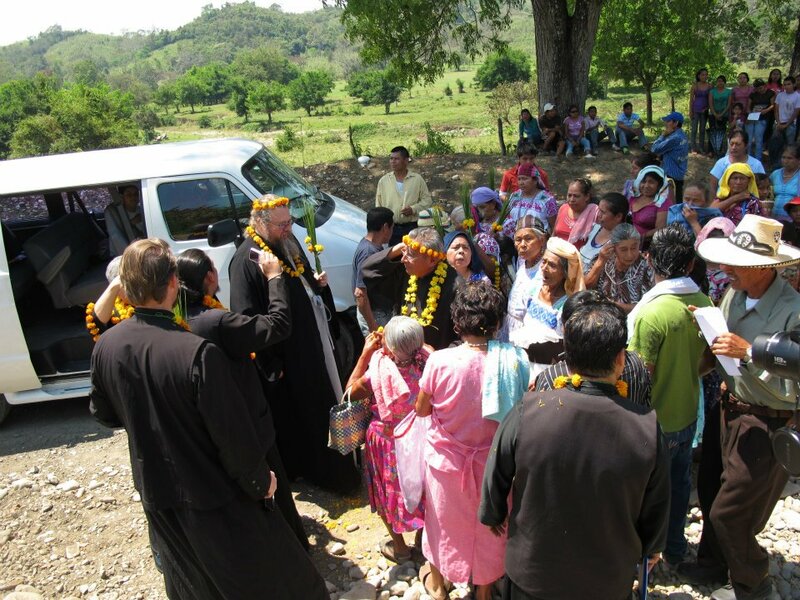 Metropolitan Jonah greeting a group of Orthodox faithful in Mexico. 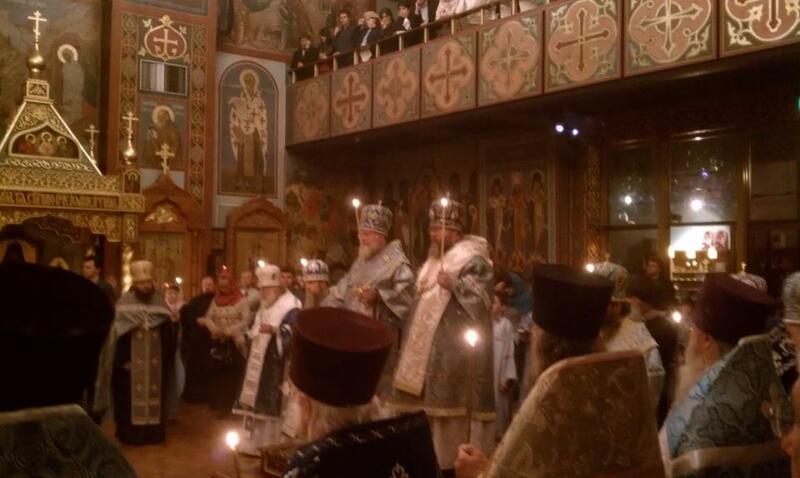 On Sunday evening, October 23, 2011 the miraculous myrrh-streaming Iveron icon of the Theotokos came to St Nicholas Cathedral. 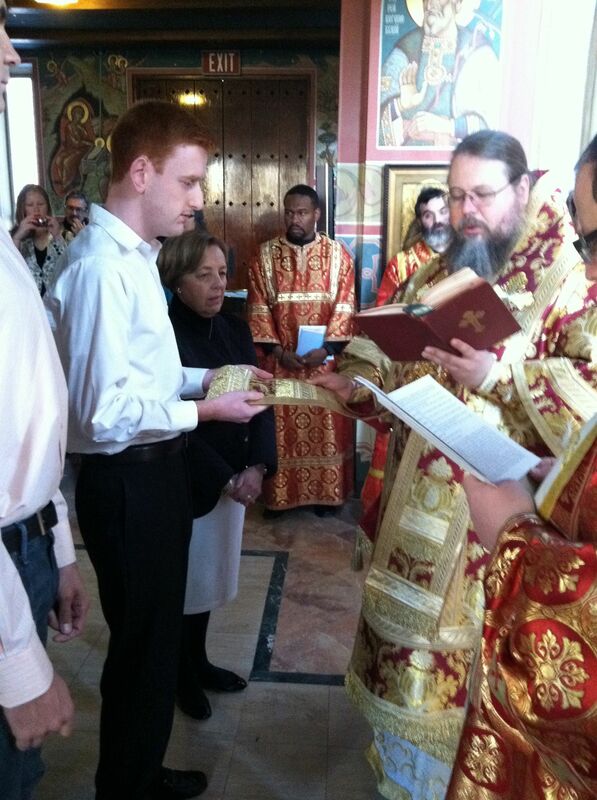 Metropolitan Jonah presided over the beautiful akathist sung in honor of the Theotokos in the packed Cathedral. 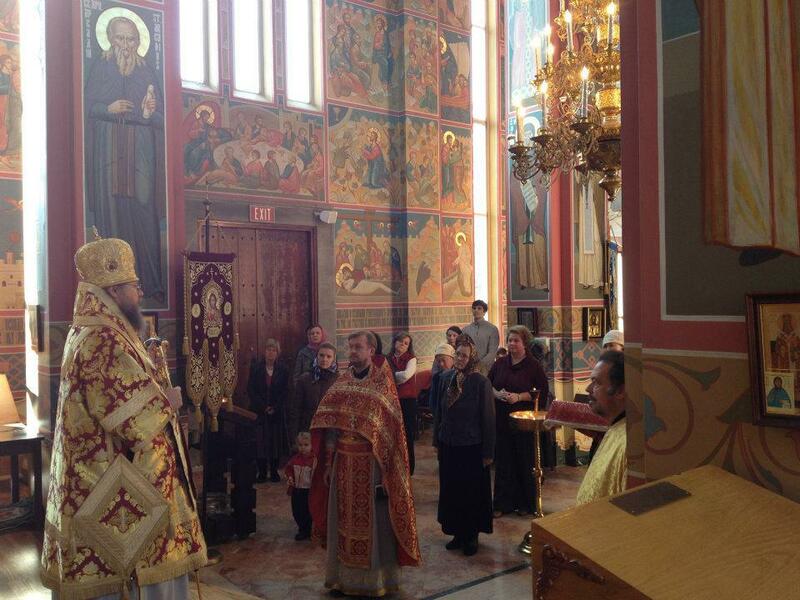 I was present to venerate the icon, and, incredibly, when I kissed it, my lips came away covered in myrrh! That night, more than any other time, the Cathedral was filled with the abundant warmth, light and grace of God’s presence. 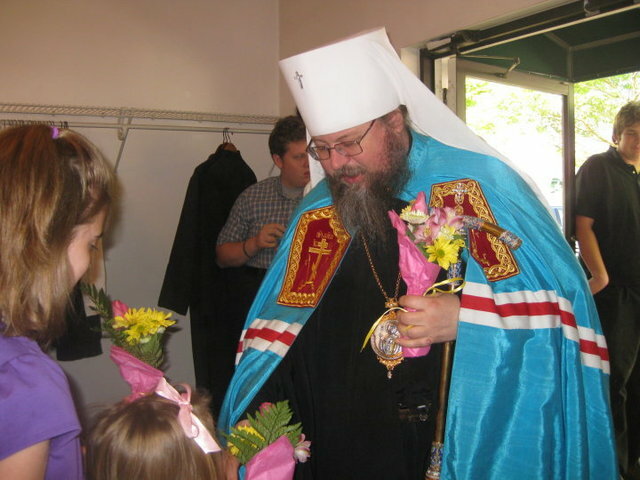 Receiving a gift of flowers from a young Orthodox girl. 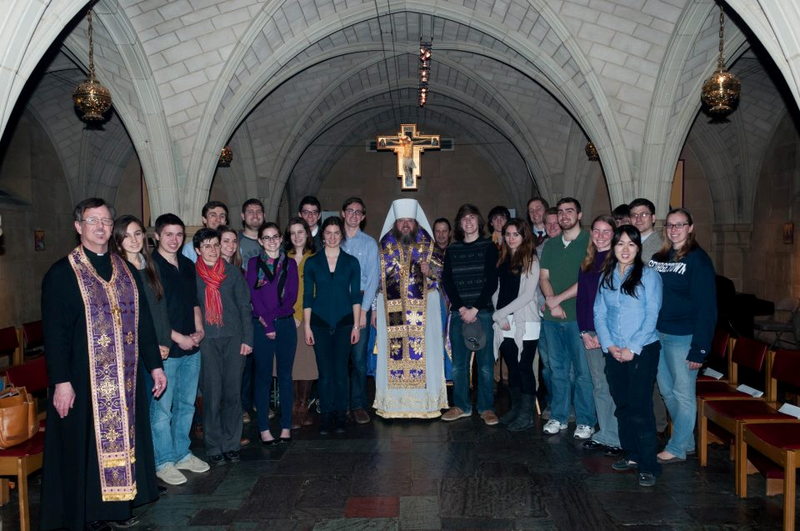 Metropolitan Jonah with Father Constantine White and students at the Georgetown University Orthodox Christian Fellowship (OCF). 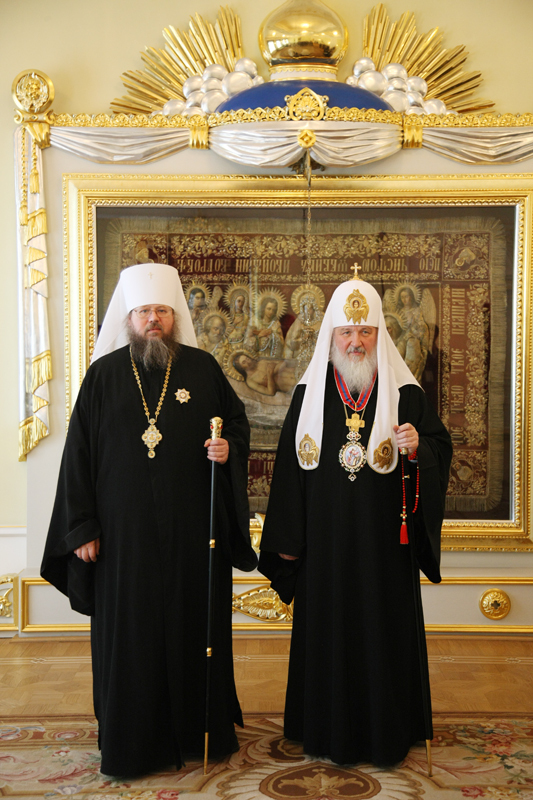 His Beatitude Metropolitan Jonah with His Holiness Patriarch Kirill I of Moscow and All Russia. My chrismation took place on Sunday, December 4, 2011 at St Nicholas Cathedral in Washington. 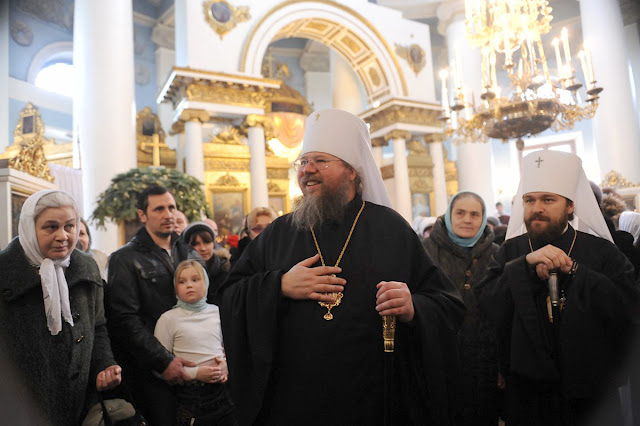 Metropolitan Jonah addressing the faithful at St Nicholas Cathedral on the feast day of St Nicholas (Julian Calendar), Monday, December 19, 2011. Father Valery stands in the left foreground and my godmother Marilyn is visible in the bright red coat. Addressing parishioners during the same December 2011 Liturgy commemorating St Nicholas of Myra, the patron saint of the Cathedral. The tall man standing in the back in the white shirt is my godfather, Mikhail (Misha). At Saint Nicholas Cathedral on the feast of St Nicholas the Wonderworker, bishop of Myra and Orthodox opponent of Arius. 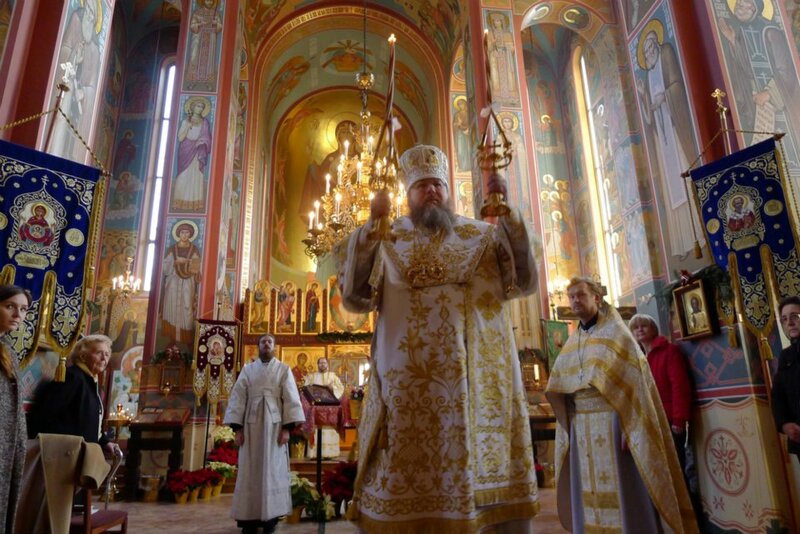 Metropolitan Jonah celebrates the Divine Liturgy in honor of the Nativity of Christ (Christmas) at St Nicholas Cathedral on December 25, 2011 (New Calendar). 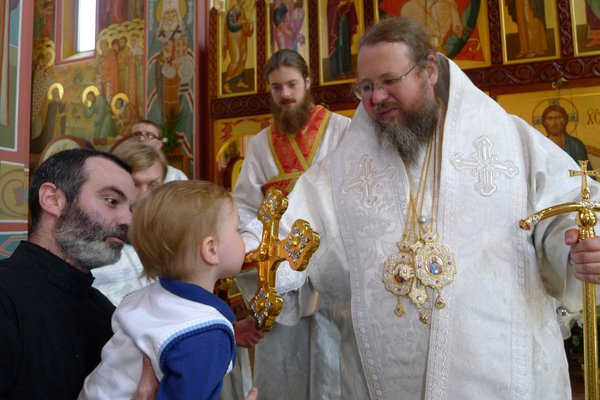 Behind him to his left is Father Valery Shemchuk, acting dean and pastor of the Cathedral, and to his right is his personal assistant, Monk James Stevens. 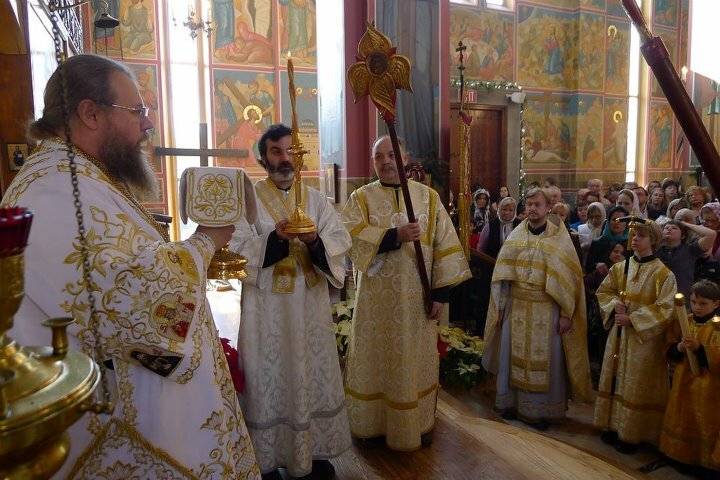 The very kind Deacon Blagoje (left) and Father Valery, pastor and acting dean of St Nicholas Cathedral, (right), standing on the solea with Metropolitan Jonah presenting the Holy Gifts during the Nativity Liturgy. 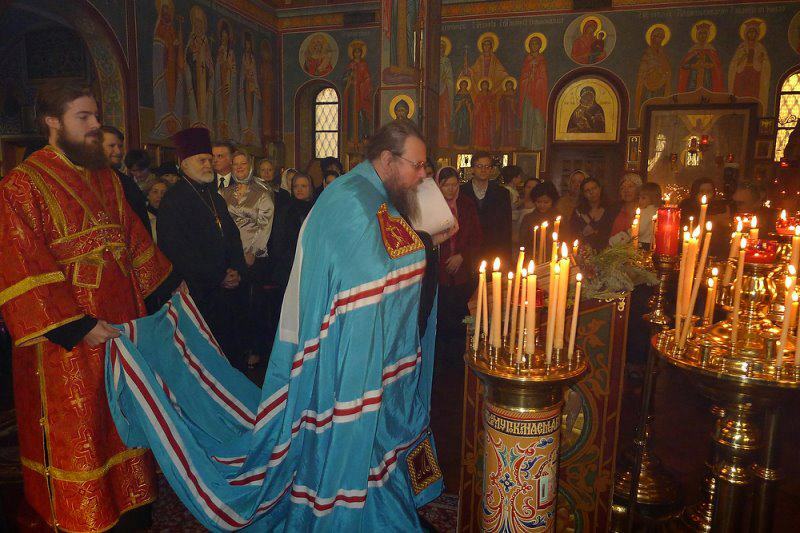 Metropolitan Jonah blessing the worshipers during the Christmas Divine Liturgy. 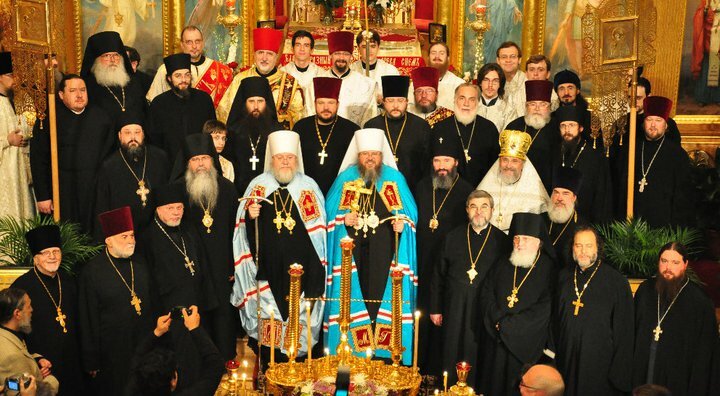 Metropolitan Jonah with Metropolitan Hilarion, First Hierarch of the Russian Orthodox Church Outside Russia (ROCOR) and some members of their respective Holy Synods of bishops, mitred archpriests, priests, and monks. His Beatitude, Metropolitan Jonah and His Eminence, Metropolitan Hilarion, First Hierarch of the Russian Orthodox Church Outside of Russia, concelebrated the Divine Liturgy for the first time together at the Synodal Cathedral of the Sign in New York City on Saturday, December 10, 2011 in the presence of the Kursk Root icon of the Mother of God. 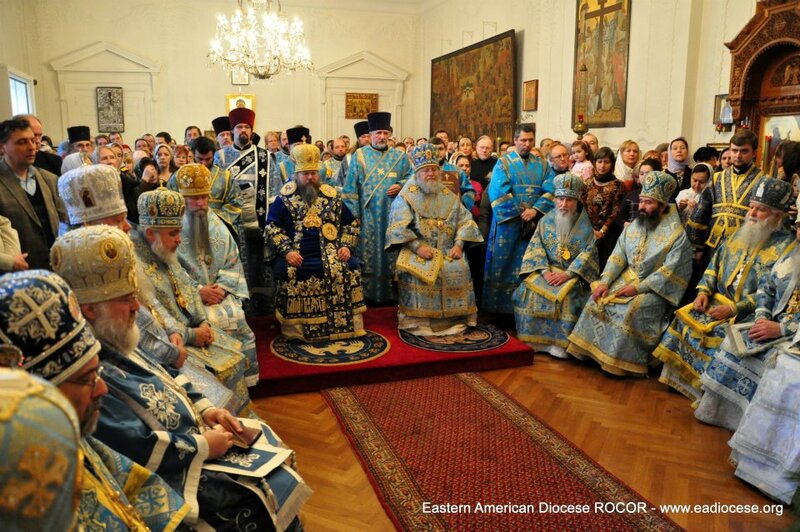 Present and con-celebrating along with the primates were the respective Holy Synod of bishops of the OCA and of ROCOR, and many attendant priests and monks. My godmother was also present and the Liturgy left a lasting and memorable impression on her. 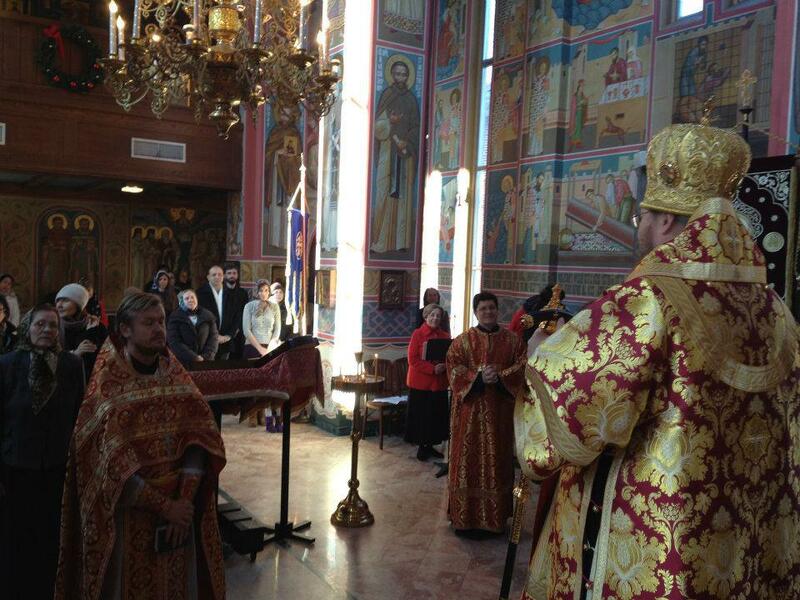 On New Year’s Day, Sunday, January 1, 2012, at the invitation of His Eminence Metropolitan Hilarion and Archpriest Fr. 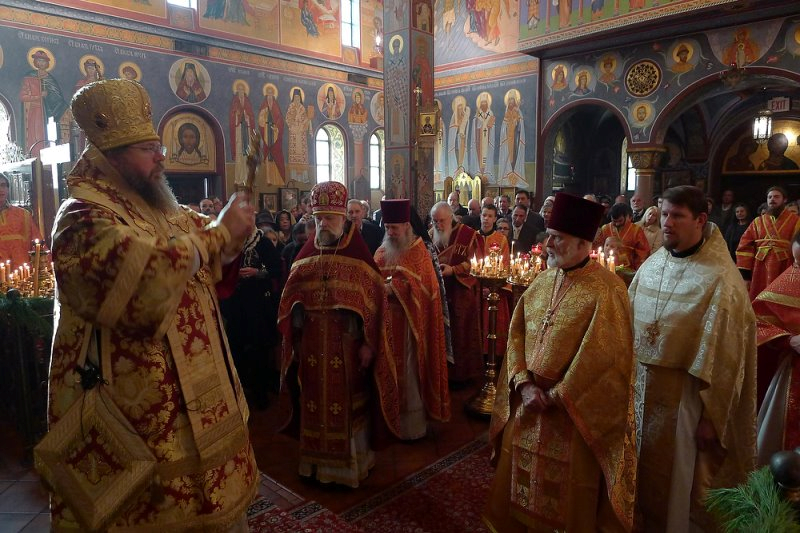 Victor Potapov, Metropolitan Jonah celebrated the Divine Liturgy at the ROCOR Cathedral of St John the Baptist in Washington, D.C. 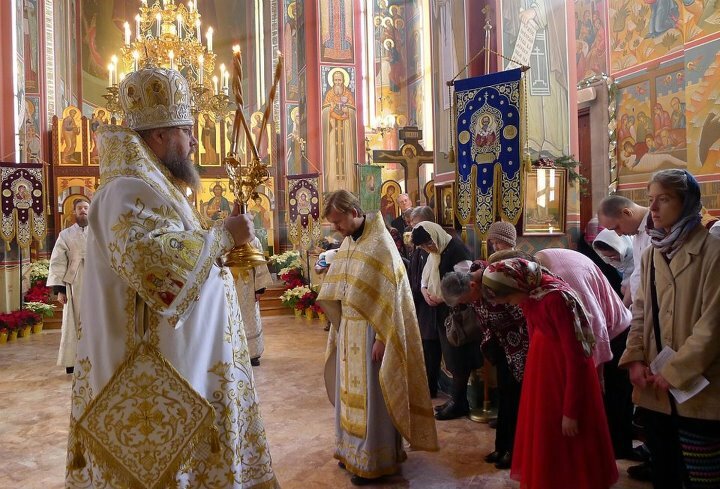 This historic Liturgy, which my godmother and many parishioners from St Nicholas attended, marked the first time a primate of the Orthodox Church in America celebrated Liturgy in a cathedral of the Russian Church Abroad without a ROCOR hierarch also present. At St John the Baptist Russian Orthodox Cathedral in Washington for the January 1 Liturgy. Father Vladimir, a ROCOR priest, is wearing his purple mitre, while Monk James, His Beatitude’s personal assistant, holds his train. With the clergy of St John the Baptist Cathedral on New Year’s Day, 2012. The Cathedral rector Fr. 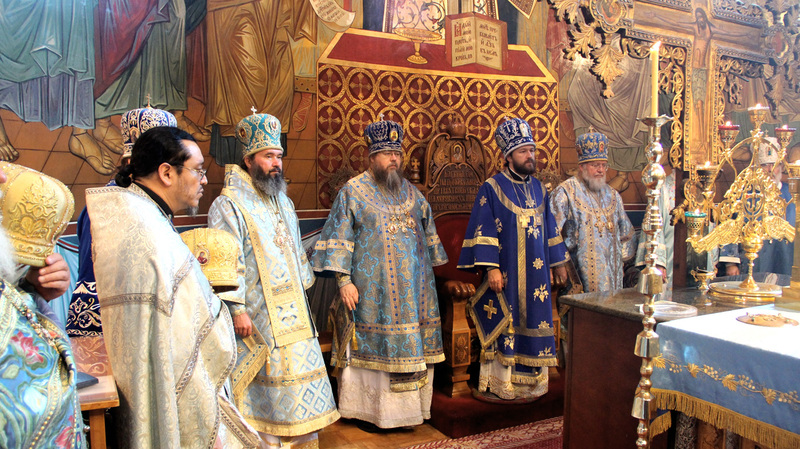 Victor Potapov, a mitred archpriest, stands in the foreground. With Russian parishioners and His Eminence Metropolitan Hilarion (Alfeyev), Chairman of the Moscow Patriarch’s Department for External Church Relations, at St Catherine’s church, the official Moscow podvorie (Greek: metochion, ’embassy church’) of the OCA. In gratitude for her brilliant lecture “Our Great High Priest: the Church as the New Temple”, on January 29, 2012 at the 29th annual Father Alexander Schmemann Lecture at St Vladimir’s Orthodox Seminary in Crestwood, NY, Metropolitan Jonah, president of the seminary, presented Dr. Margaret Barker with an icon of “Christ the High Priest”. On Saturday, June 23, 2012, His Beatitude Metropolitan Jonah welcomed His Eminence Metropolitan Kallistos (Ware), internationally renowned Orthodox author and theologian and titular bishop of Diokleia (under the jurisdiction of His All Holiness Ecumenical Patriarch Bartholomew I of Constantinople) to St Nicholas Cathedral. 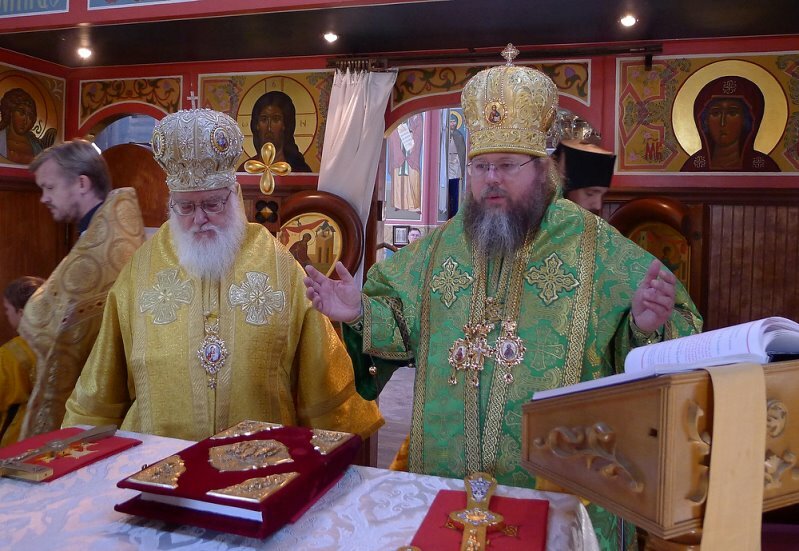 The two bishops, who have spoken together at the popular annual Orientale Lumen theological conferences, concelebrated Divine Liturgy together. 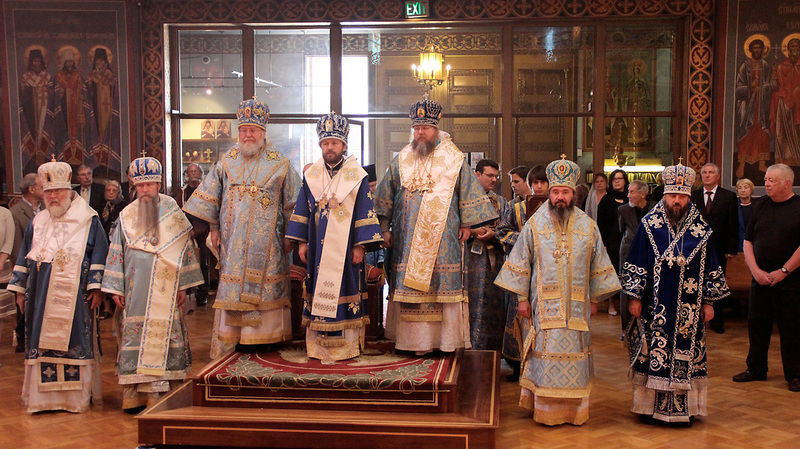 Vigil for the Dormition of the Theotokos (Julian Calendar), August 27, 2012: Metropolitan Jonah served in San Francisco’s historic Holy Virgin Cathedral alongside His Eminence Metropolitan Hilarion, First Hierarch of the Russian Orthodox Church Outside Russia (ROCOR) and brother bishops of the respective Synods for ROCOR and OCA. 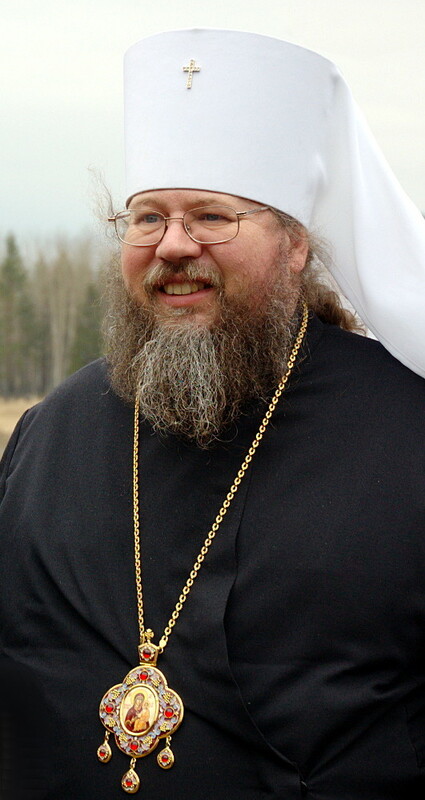 On Tuesday, August 28, 2012, the Julian Calendar celebration of the Great Feast of the Dormition of the Theotokos, His Beatitude Metropolitan Jonah served with and stood on the episcopal ambo with two of his brother bishops: Their Eminences Metropolitan Hilarion (Kapral), First Hierarch of the Russian Orthodox Church Outside Russia (ROCOR), left, and Metropolitan Hilarion (Alfeyev), Metropolitan of Volokolamsk, Chairman of the Moscow Patriarchate’s Department of External Church Relations, center. 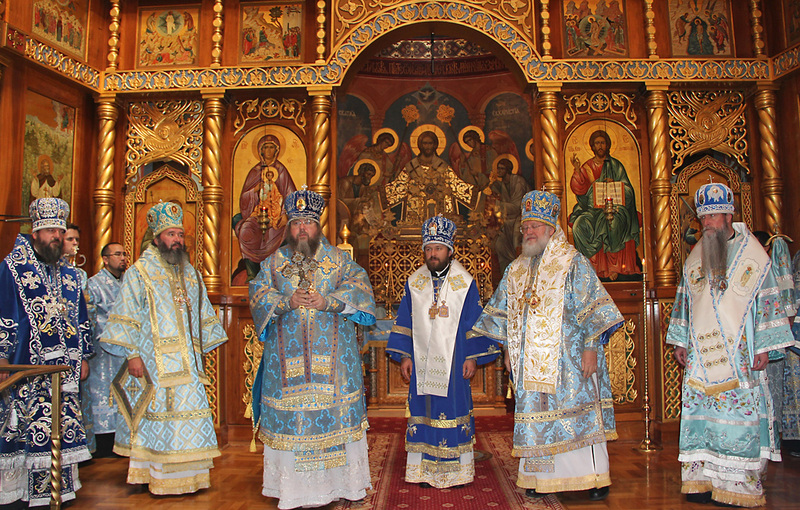 Standing in the altar with the respective Metropolitan bishops Hilarion (Alfeyev), center and Hilarion (Kapral), right. Archbishop Justinian of the Moscow Patriarchate is to the left. 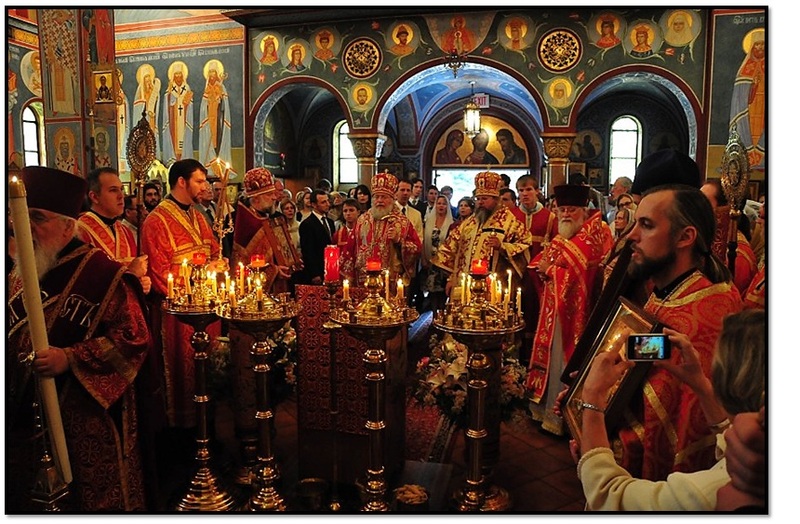 On Sunday, September 16, at the invitation of His Eminence Metropolitan Hilarion, First Hierarch of the Russian Orthodox Church Outside of Russia, and Cathedral rector Father Victor Potapov, His Beatitude Metropolitan Jonah con-celebrated the Divine Liturgy with them at Washington D.C.’s historic St John the Baptist Cathedral. 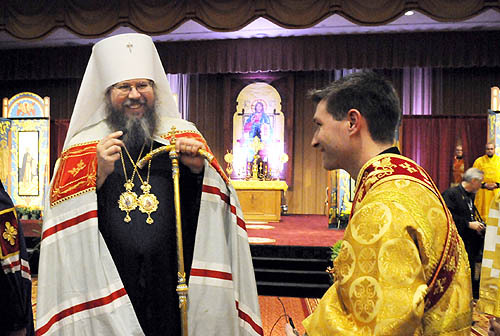 On Sunday, May 27, with the blessing of the First Hierarch of the Russian Church Abroad, His Eminence, Metropolitan Hilarion, the primate of the Orthodox Church in America, His Beatitude Jonah, Metropolitan of All America & Canada, celebrated the Divine Liturgy in St. John the Baptist Cathedral in Mayfield, Pennsylvania. 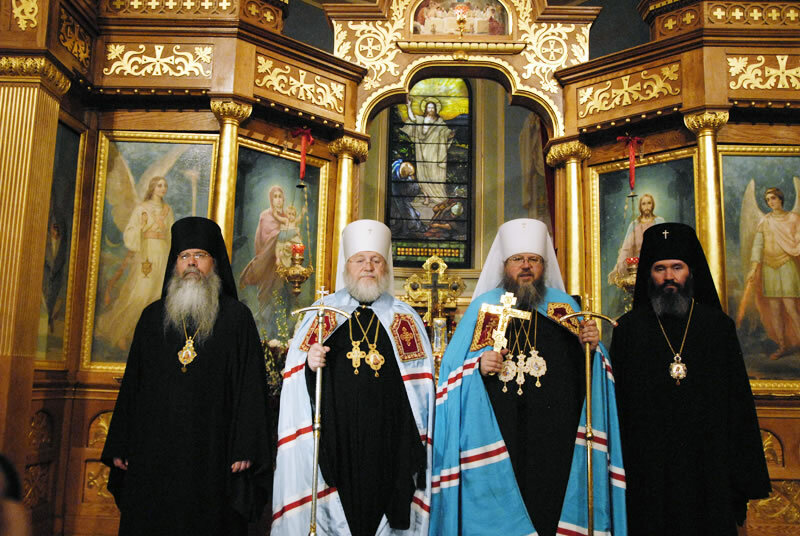 This Cathedral often changed hands during past jurisdictional disputes between ROCOR and the OCA, and Metropolitan Jonah’s historic visit, marked by this incredible sermon in which he offered a heartfelt apology for offensive and impolitic statements by some of his predecessors, marked yet another positive turning point in the jurisdictions’ relations as Orthodox brethren in America. The Metropolitan’s sermon here is of the most inspiring talks I have ever heard him give. It covers the subjects of Christian love, forgiveness of and repentance from sins, and above all, the spirit of true joy- not merely happiness or gratification- to be found in reconciliation. 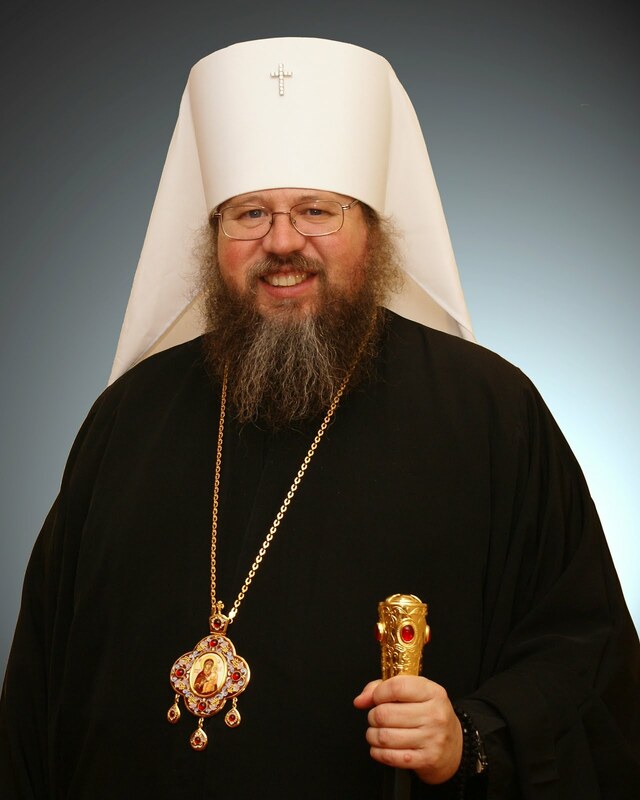 This beautiful video is provided courtesy of the Eastern American Diocese of the Russian Orthodox Church Outside of Russia (ROCOR), under the omophorion of His Eminence Metropolitan Hilarion (Kapral).